To my mom, the strongest person I know. To my dad, for showing me what it means to be a man, father, & best friend. To my grandma, teaching me the importance of giving. We all have a story. We go through the trials of life and learn along the way lessons that make us who we are. This is a story about transitioning physically, mentally, and spiritually. My hope is that you take away a deeper appreciation for life. Also, it sponsors self-realization and fosters change in how we view life and what we believe matters in the world. This story is about finding purpose for living. This is my story. As you embark upon this story, reflect upon your own life. We live fast paced lives, we sometimes struggle to center ourselves and assess “how were doing” in the journey of life. Now, we all have problems but what sets us apart is how we deal with them. The mind is a powerful thing. Let’s discover what is important in life and let us take a step back and look at the big picture. Whatever stage in life you’re at transitions inevitably are happening. Some are: learning to ride a bike or drive a car, experiencing a first kiss or moving away to college, getting married, buying a house or having a baby. However, some are encountering struggle, pain and loss. Transitions; Moving Forward with Faith, Family, and Love illustrates four elements of life that were taken for granted then but now they are centerpieces of appreciation. On July 20, 1989 I was born at home with two loving parents. My mom and dad thought it would be best for me to be born in our home. It was a place that would be welcoming to a new born and free of all the hustle and bustle of a hospital. I grew up in that house and made many memories with my small family; I was an only child that got a lot of love and attention. I grew up learning right and wrong at a young age and whenever our family would go out to dinner on a Friday night other couples would always compliment my parents on how well-behaved I was. However, I was disciplined and learned the importance of a hard work ethic at a young age out on the acreage we had. 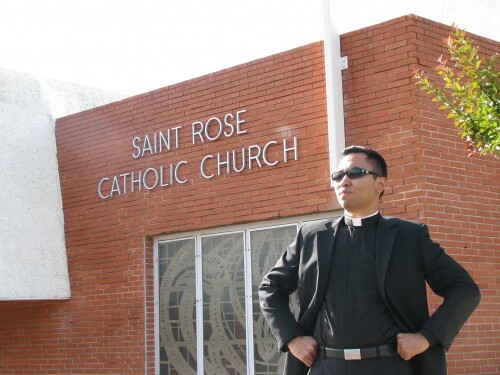 Saint Rose Catholic Elementary was where I developed a strong academic and spiritual foundation. Saint Rose solidified the morals, values, and beliefs that my parents enforced. These were the following: God first, love one another, respect, listen, be positive, work hard, and much more. Moreover, I grew up having many things. First, I had land to roam and make forts with. Later, I would use it for playing paintball, mud football, and playing outside with friends. My parent’s goal was for our house to be the house where all my friends could come over and have a good time. One of the highlights of our house was the pool and backyard. The pool was the size of a big rig in length; it was equipped with a 12 foot deep end, two waterfalls, diving board, a basketball hoop, and even an underwater tunnel. Apparently, my house was the place to be and my mom would always love to entertain our guest whenever they came over. She would cook up a feast and after a long fun summer day; we would relax in our spa and have chocolate dipped strawberries quite a bit. In addition, my parents and I did many things in my youth. We would go on numerous trips. Many times we went to the snow during the winter. Normally, my dad would set up a skiing lesson for me in the morning and then I would go out with my mom and dad skiing later in the afternoon. Also, we would go the casinos in Tahoe a lot. My dad would play racing games with me in the arcade while my mom would normally be pretty lucky at the poker slots! In the summer, we would normally rent out a three story beach house in Santa Cruz and celebrate my birthday for a week. The whole family would come together and we would have the time of our lives. Again, my mom would entertain everyone by cooking my favorite meals and she would always make my day special with an ice cream cake (my favorite) and tons of presents including: Lego’s, Power Ranger things, and whatever was hot at the time. Also throughout the year, we would go to extravagant places out to eat for dinner on the weekends, see theatrical plays, and make weekend day trips to Apple Hill, The Nut Tree, and the Napa Valley Wineries. Furthermore, my parents gave me all the opportunities I could ever ask for. My mom was the team mom for many of the sports I played including: baseball, soccer, and basketball. She also would pick me up from school and take me to acting classes. I wanted to be an actor growing up, haha. I was the center of attention of a family that gave me the world. Also, my dad and I would go out collecting hot wheels growing up. I think at one time, we had about 4,000 hot wheels un-opened in mint condition. It was kind of our thing to do; it was a lot of fun too. We would wake up early and try to find these ones called “treasure hunts” at the local targets and toy stores. Moreover, I wanted to get involved in 4-H and so my dad and his friends built me a huge barn to keep my swine projects in for the county fairs. It’s evident that I was a boy who had it all. From a house full of fun, to a fully stocked refrigerator, to a go-kart for racing around the land, to fun trips with my mom and dad, and many opportunities to learn and grow. Whatever I wanted I had but I also had some great memories as well that mean the world to me now. First, every Sunday mom, dad, and I would go to 9a.m. mass at Saint Rose Church. I would be sitting between my parents and throughout mass we would enjoy each other’s company. Afterwards, we would always go out to eat. Sometimes it would be to really nice brunches at beautiful golf courses and other times it would be to some of our favorite places to eat. Although, the important thing was that we were all together having a great meal, laughing, smiling, and talking about the week ahead. Another great memory I have is when my mom would pick me up from school, especially half days! She would always pick me up and greet me with a big old smile saying, “How was your day at school honey?” Then as we left school, I would always beg for a treat! We always use to go to McDonalds on the way home and I would get the best Mint Oreo McFlurry. However, if I was really good, my mom would take me out of the way to Dairy Queen and we would have the best blizzards! Other days we would go check out model homes together. She would get great ideas to decorate the house and I just loved checking them out with her for some reason (still not sure why, but I loved it!). Different days, we would go to the park, go shopping, pick up groceries on the way home, or go out to eat at our favorite restaurants: Baja Fresh, Dos Coyotes, and Mongolian BBQ! Furthermore, a great summer memory I have is of my mom and I in the backyard. She would be laying out getting her tan on and I would be playing in the pool and building some cool sand castles on our little sandy beach area by the pool. Throughout the summer afternoon, I would constantly be getting my mom’s attention as I wanted to show her all my cool dives off the diving board. I would scream, “Mommy! Mommy! Watch this… a cannonball! A Flip. A Flying Squirrel. A pencil. Here it comes! (Splash).” My mom was always worried about my safety. Always saying, “Good job! But make sure you jump straight out so you don’t hit your head on the sides.” We would finish the afternoons off laying besides each other listening to our favorite 90’s tunes: LFO, the Counting Crows, and the Spice Girls! Finally, this last great memory I have of my childhood really encompasses my three greatest values: faith, family, and love. This memory to some may seem ordinary, it may seem routine or even miniscule but that is the point of what is to come. The point of this memory is for all of us to have appreciation in our daily lives for the little things. The memory was my mom, dad, and I sitting around the dinner table at home every night. My mom would prepare the three of us a very nice meal. I would try to grab samples but I had to wait until my dad got home from his chiropractic office at around 6:30p.m. She served us up full plates and we sat around the dinner table. We would pause and say grace, “Bless us, O Lord, and these Thy gifts which we are about to receive from Thy bounty, through Christ our Lord. Amen.” Then my mom would encourage me to say some prayers out loud and what I was thankful for. We would all eat dinner and I would try to get out of doing dishes, so my mom would make me clean the table. Today, these are the moments I will cherish forever. At this point, you’re probably thinking this boy was fortunate to have a life filled with everything he could ever ask for. You’re right but as you can probably infer there was something bigger coming. Something that has opened my eyes to a new perspective on life. It has made me appreciate what I had and what I have now. It is a transition that has developed me into the person and man I am today. A man full of love for people and life, a man that doesn’t take anything for granted, one that takes life slow appreciating the “long walks on the beach.” Also, I have developed a stronger faith in the Lord and the theory that “Everything happens for a reason.” I have grown to realize what is important in life and that is faith, family, and love. The transitions that I have gone through at a young age have allowed for me to live a life that is focused upon the big picture. The big picture captures all that is important in life; thus, I have gone through many traumatic events that have transformed how I view the world and what I feel really matters. A few key themes that I will focus on are the four things I took for granted: time, health, wealth, and the home. As my story unfolds, I personally invite you to think about your own life. Be thankful for the blessings you have, because as you’ll see it can all be taken away from you in a moment. In addition, I hope this inspires you. As you recognize all the pain and suffering, I hope it inspires you to move forward in life just as I have. December 20, 1998, it was my mom’s birthday and my dad was taking us out to a nice dinner for her special day. We went out and had an amazing dinner at California Café in downtown Sacramento. On our way home that night, my life was going to change forever. We were in a very bad car accident. We were at a complete stop waiting for the light to turn green, at the corner of Baseline and Foothills, a mile from home. My dad was driving and I was behind him in the back seat of our Jeep Grand Cherokee. My mom was in the front passenger seat and all the impact of the accident went to her side of the car. A driver that was under the influence of alcohol hit us at fast speeds. After all was said and done, the drunk driver spent a night in jail, my mom would develop serious back problems, my dad and I went into shock, and our families lives would change forever. The message here is simple. Our lives can change suddenly at any moment. Don’t take any day for granted because who knows, today might be the day your life is changed forever. With time, my dad and I were fine after the accident but my mom’s back pain wasn’t going away. The back pain turned into three herniated disks and my mom slowly had to stop doing as much as she use too. Instead of being the team mom and busy bee that she was she had to start lying down in bed more often in order to calm the back pain down. Days became months, months became years, and the accident would start a chain of tragic events in my life. Eventually, my mom became bed-ridden and was in bed for about 90% of the time dealing with chronic back pain. From 7th grade until now, my senior year of college, my mom has been in bed for about 90% of her life. Imagine how my life has been affected. More importantly, imagine the kind of will power and strength she has had to keep on fighting. Furthermore, as a result of the back pain, medications, and change in her lifestyle she developed cancer. The cancer was detected right before my sophomore year of college. It is a rare cancer, one in a million. According to Wikipedia, it describes the cancer as, ““Pseudomyxoma Peritonei is an uncommon tumor known for its production of mucus in the abdominal cavity. If left untreated, mucin will eventually build up to the point where it compresses vital structures: the colon, the liver, kidneys, and pancreas.” Today she is still fighting but it has been a rough fight and time in my family’s life. Not only did my mom miss out on all of my high school activities but now my college ones as well. The transition from having her around for everything to not having her around for much has been an emotional rollercoaster for my dad and me. The tough part has been “what can my dad and I do for her?” How can we help? There has been a sense of helplessness. We have taken her too many doctors and surgeons and no one has had any answers for her back pain and now her cancer. The scariest time that will be embedded in my memory forever was the one time she said, “I think I am going to die…Rush me to the ER!” Yes, we have taken her to the ER many times for the unbearable pain but this one time made my heart stop and my bones shiver. I will never forget the day neither will I forget many of the scares that have been caused from the one accident that changed my life forever. We all are faced with challenges and road bumps along the way in life but this one has been a big one to say the least. I’ve gone from having my mom around and involved with every aspect of my life, to having her bed-ridden struggling to manage the pain in her body. The transition has been hard on me but that’s just been half of my story. You want to talk about insult to injury, I have had my mom in pain but I haven’t even mentioned my dad. Obviously, the transition with my mom’s health has impacted his life as well; however, it has severely impacted the entire family as well. I mentioned before that my mom was kind of the “face” of my dad’s business. My dad is self employed. He is a chiropractor and a good one to say the least. However, when my mom went down with her health my dad’s business took a hit as well for a couple reasons: a) the loss of my mom doing the marketing, advertising, and public relations aspects of the business, b) my dad had to now take care of her role in the business and take care of my mom at home, and c) the stress of my mom, me, and many added medical bills. Before the accident, my dad’s practice was pretty successful and we were pretty well off. For example, when he first bought our house and property he made about $20,000 a month. However, the transition with my mom started a slow decline in his practice. After moving to various locations in the Sacramento area because of leases being up, my dad had to refinance our house and take a loan out to start fresh with his practice. My freshmen summer of college he decided to commute to Yuba City to start fresh in a new town about an hour from our house in Roseville, Ca. I was with him every day that summer and it was a serious struggle. It was a plan/ idea that would soon fail months later and our financial struggles were about to get much worse. Long story short, my dad had to file bankruptcy as he got so behind on my mom’s medical bills and our mortgage. Then the day came that I will never forget. My dad was at work. I was at home with my mom and a gentleman came to the door. I answered it and he handed me an eviction notice for our house. Our house was under foreclosure. The very home I was born in, had extravagant holiday celebrations, and created so many memories in was about to be taken away from us. We ended up losing our house and moving in with my dad’s cousin (best man). This was the mark of a new transition, losing our house and moving out. Many tears were shed as we moved out of our house. This wasn’t us, this wasn’t happening, we were losing everything. My dad was able to make just enough money to survive so he got a small duplex in a part of town that I never thought we would live in. Furthermore, we have gotten an eviction notice a few times at this “house” and my dad’s car just recently got repossessed. We all have transitions but its how we deal with them and I will elaborate more on this in part two. My two major transitions in life have been the accident (mom’s health) and our financial struggles (loss of our home) but they haven’t brought me down. They have just given me strength to be where I am today and they have shaped me into the man I am today at age 21. Lastly, my mom tells me all the time that the only reason she is living is for me. The pain, struggle, strength, will, and love from my mom is what pushes me each day to reach my full potential. Mom, “I love you too, this much (spreads arms out).” Dad, after all we have been through, it’s an honor & privilege to call you my best friend. Life, you have casted me many struggles but I’ve embraced them with a positive mindset and loving friends and family. God, I love you; thank you for giving me the strength to follow you and be your child. Transitions aren’t easy in life. Mine came without warning or choice. God gives all just as much as we can handle. Something that I’ve taken away from my life thus far is that everything does happen for a reason. If all these events in my life hadn’t happened, I probably wouldn’t be writing this today and trying to help others make it through their pain. To make it through transitions in life one needs: love, support, guidance, the right mindset, and a higher power. The following are a few inspirational short stories about how I’ve grown as a person to understand what really matters in life and how I have been able to be successful even during times of struggle. It all starts with attitude. Something my mom taught me when I was little was positivity. She would always say, “If you carry yourself with a smile and a good head on your shoulders good things will come to you.” Randy Pausch, the Last Lecture, sums up what my mom taught me about attitude in the following statement, “It’s not about how to achieve your dreams, it’s about how to lead your life, … If you lead your life the right way, the karma will take care of itself, the dreams will come to you.” I have tried to make it a point to help others and give others a helping hand. When I walk by people, I try to always smile and say hello. You never know what how the slightest gesture could possibly make someone’s day. For example, just the other day I was going to get a coffee and I texted my good friend if she wanted one too. She said no thank you but the fact that I was thinking about her she replied, “Thank you Freddie. That meant so much to me that you were thinking about me. You made my day!” It’s the little things that make the world go around. How you live your life also has a lot to do with it. If you walk around like your better than everyone else, if you cuss often, if you bring about negativity around you; than you will attract the same thing in your life. The two books, “The Secret” and “Never Eat Alone” get it right I feel. They both refer to positive thinking and paying it forward. The mind is a powerful thing. With everything in my life, I have been close to the brink of depression and serious stress complications. However, I have tried to remain calm about things in life. I have done a lot of meditation and things that are good stress relievers. For example, throughout high school I would go to the gym and play basketball with a bunch of friends almost every day. Basketball was my stress reliever. I was able to do something that would take my mind off of all the struggle and pains at home. Granted I wasn’t always the best player on the court, it was great for me to mentally “take a break” from the stress at home. Do the right thing. I have two stories here. One is kind of comical and the other is how I was able to change a peer’s life. First, I had just got a job as a courtesy clerk at a local grocery store a couple years ago. It was my first day. The company told me to provide the best possible customer service so I took that to heart. My first day on the job I was packing a woman’s groceries and I was walking her out to her car with her cart. She said, “I got it from here. We’re (her full hands with three little children) walking home.” I asked the mom, “I can take them back for you.” I took the groceries back to her house and unpacked them in her kitchen and provided superior customer service. Granted this example may be a bit extreme, I was just doing what I thought was right. Afterwards, the mother gave me a five dollar tip and I insisted not to take it but she practically forced me to take it. I got back to the store and gave my manager the tip. Later, my manager told me not to do that again because it might be a liability but they ended up giving me the tip. At the time, I thought I was doing the right thing because the woman was stressed and had her hands full and the bags were going to be way too heavy for her to carry home. Moral of the story, give a helping hand and open a door when you can tell someone is in need. The second story is about a 6’4 gothic teenager in high school. I was my high schools rally commissioner who put on pep rallies. I saw this tall guy at brunch juggling tennis balls exceptionally well and I approached him and asked if he wanted to perform at the next pep rally I was planning. He was an extremely tall student that wore many studs and had many earrings and such. To most, he was probably an outcast with his all black (trench coat) attire. To me, he was just another child of God that had a talent. Long story short, he ended up juggling swords at the rally (really cool) and it was a big success. The next week, tons of students starting going up to him saying, “Hi! You were great. That was so cool!” It made him feel good. He approached me about a month later and said, “Freddie, thank you so much for putting me in that rally. It changed my life. I use to get looks and people were almost afraid of me. After that rally, everyone has been coming up to me saying how great I did. Thank you so much, it really meant a lot to me.” This was the first time I learned the importance of attention, appreciation, and recognition. Doing these three things can really change people’s lives and make there day. I think what influences my peers the most is when I tell them about my story. There often shocked to hear I have so much going on when I always seem so happy and put together. Also, many of peers that hear my story are in awe because of how successful I have been. I have been blessed with many achievements: Boy’s State Representative, Grand Champion Market Hog, voted “Most Inspirational” on our swim team, Vice President of Clubs, and Student Body President of Saint Mary’s College. I have been pretty successful so far but it hasn’t come easy. Success comes with a will to be better and drive to push yourself. However, success is nothing unless you give it away. Just like the hymn we sing in church, “Love is nothing unless you give it away.” When life gives you blessings its best when you give them away. Spreading love, peace, and joy is the way to live a successful life. Why do I think this? Because when I walk around my college campus, I constantly stop and have chats with friends, acquaintances, and strangers. It’s nice to have so many friends that love and care about you. It’s all happened I feel because of my personality and my genuine care to help people. Based on the transitions in my life, I have moved forward because I see the importance in life and that loves one another, God’s greatest commandment. Furthermore, I have moved forward in life with faith, family, and love and here is how and why. Ever since Saint Rose elementary my foundations in the Lord and his teachings have been reinforced. Humbly speaking, I’ve been to church almost every Sunday of my life. What it has really done is keep me focused. Each week we can get caught in the temptations of evil and each Sunday church is a time where I can reflect. I would encourage everyone to go to church even if you’re not religious. It makes you at least think. Homilies have played a key role in my development as a person and child of God. When you go to church, you cleanse all that is bad, you reflect on all that is good, and you pray for a better world. Over the years, church has played a significant role in my abilities to fight through the pain and transitions. I’ve put my faith in the Lord that his plan for me and my family is being put to the test. Faith has also solidified my worldview that everything happens for a reason. Through faith, I believe all these tragic events have happened for the betterment of my family and me. Why? Because the transitions have brought me closer to the Lord and eternal salvation. Finally, faith has shown me the reason for life. We live on Earth for one reason, to make choices. God gave his children the ability to choose if they want to live with him forever and ever in eternal happiness and peace. God giving us a choice is one of the greatest things I’ve come to discover through my faith deepening. I have three great “faith” stories. The first one shows a pivotal moment where my belief in the Lord was reinforced. A few years ago, when our financial struggles had just started I was praying a lot. One day my dad, grandma, and I went to my grandpa’s grave and it was a joyful celebration. However, while I was there, I prayed for many things. One was that my dad gets just one new patient this upcoming week because we desperately needed one. Anyhow, two minutes later my dad’s phone rang and a new patient called to schedule an appointment with him. I will never forget the day. That day I witnessed the power of prayer. When we pray, we just have to be vigilant to see our prayers being answered. The second story illustrates the power of the Lord again through prayer and faith. October 31, 2009 my mom had cancer surgery down in San Diego. They split open her front and scraped as much cancer as they could get out of her abdomen. However, that morning before the surgery I will never forget. My dad and I were with her as she went behind the glowing and swinging doors. I will never forget seeing her go past the “no visitors past this point” sign. I wasn’t sure if she was going to make it out of the surgery. After she went into surgery, there was a long pause of silence for about twenty minutes between my dad and me and then he said, “Let’s go to church.” We went to church and no words were spoken to each other for what seemed like five hours. However, the whole time in church early that morning I was praying to the Lord that he let her get through this surgery. Needless to say, my prayers were answered. The final story I have about faith is how my faith has progressed over the years. Recently, I just turned the big twenty one. Normally twenty one is related to partying, drinking, Las Vegas, or celebrating your ability to drink. However, I woke up that morning with a completely different type of birthday. It was the middle of summer. I was at home helping my dad’s practice grow and sustain itself. I took the day off from helping him out and I went to church by myself. It was a Tuesday. Frankly, I had never really been to church other than on Sundays. However, it just felt right. I followed my heart and started my new year off with a fresh mindset on life. These three stories clearly show how I have grown and strengthen my faith in the Lord. Faith, the Lord, Church, and his teachings have been pivotal for my abilities to move forward past such tragic events. Family has been another essential aspect to my ability to move forward. Through it all, I have learned that family is one of the most important things in life that anyone can value. Why? Because they are always there for you and because they are your lifeline for support and encouragement. I have moved forward in life primarily because my family has encouraged me along the way through my trials and leadership adventures. I am so grateful for my families support and encouragement because it has kept the drive in me to make it out of these hard times. Lastly, I encourage you to value the time you spend with your family. I will expand on this later but I have one example to express here. To this day, as a senior in college, I still go home on the weekends quite a bit. I do this because I value the time I have with my parents. Particularly, I go home for my parents. One, to inspire my dad to keep on keeping on with his practice, faith, well-being, and him caretaking for my mom. More importantly, I go home to keep the fire alive in my mom. I cherish each and every moment I have with her. She is the light of my world and my inspiration to do so much good for the world. Love, what a loaded word. Love is the center of everything that has helped me move forward in life. Whether it’s the love from my parents or friends, or it’s the love I spread to others, love is everywhere in my life. However, the story I have about love isn’t about me. It’s about my parents and how they have inspired me to love others in the world. In the past, I have taken many things for granted. I took for granted four major areas of life: time, health, wealth, and the home. I took for granted the time I had with my family before the accident. I took for granted my mom picking me up from school and us laughing all the way home. I took for granted her asking me as soon as I got in the car, “How was your day sweetie?” I especially took for granted Sundays when we would all go as a family to church, then a nice breakfast, and finally we would all go to the grocery store and buy food for the week. Most importantly, I took for granted the time I spent with my family. However, I do have a short story that exhibits how I have changed and valued time. A few years ago before the cancer, my mom was just battling severe back pain. Well, I have always been one to love the rain and sitting outside marveling at it. One late afternoon I told my mom I was going to go outside and sit in the rain. She then took some pain medications and a glass of wine and came and sat beside me out in the windy rain. From that moment on, I began to thoroughly value the time I was spending with the ones I care about the most. I love you mom! Furthermore, time has been one of the greatest ideas that I have struggled with personally. One vivid example comes to my mind first. I was recently in church with my dad on a regular Sunday. The entire congregation was saying “Peace be with you” to each other and then it came to a close. Afterwards, I looked in front of me and I saw a little eight year old boy expressing affection with his mother in church. That picture alone triggered an emotional response and I started to bust out in tears. Tears ran down my face as I saw what I use to have. That was the age before the accident when that was me. I don’t cry much but that one day just brought the works. Time is one of the most valuable things we all have in our lives, thus embrace the day and live it to its fullest. Another area of life I took for granted was health. I took for granted my moms ability to be mobile. Thus, I took for granted health as a whole. I began to realize that “good health” isn’t normal. It is a blessing. Moreover, I have witnessed the effects of stress on the body. I personally developed serious heart shooting pains a few years ago and my dad just recently went into the hospital because of a stress panic attack. Also, my mom just recently went in to the ER as well because she couldn’t breathe from a panic attack. Stress has been extremely prevalent in my family for the past decade and I have learned the importance of dealing with. I encourage anyone that is under stress to do the following three things: 1) relax and meditate 2) change you’re thinking towards positivity (laugh & bring about happiness) and 3) pray. The most important aspect of health that I have encountered has been alcohol. It has been at the root of all my pain. It took me years to forgive the man that hit us due to his drunken mistake. If you take anything away from my message in this piece take this, please don’t drink and drive. It alters lives forever. I took for granted wealth. First, I took for granted a fully stocked fridge and freezer. I have been humbled directly by food. As a family, we would use to have beautiful meals prepared by mom that consisted of the following: BBQ chicken/ or filet mignon with risotto and fresh steamed vegetables. Today, I am still learning to cook but I have become perfectly fine with top ramen, PB & J, or any meal that is free. In addition, I took for granted napkins and distilled bottle water. There are so many little things that I could go on and on that I have discovered that I have taken for granted. I just remind you to appreciate the little things you have because in one day it can all be taken away from you. The last key aspect of life that I took for granted is the idea of a home. I have developed a new understanding of what a home symbolizes and means. When we lost our home, than moved in with family members, and now that we live in a small duplex I have developed an appreciation for having a place to call home. I took for granted our property, our dining room, our pool, and our two bathrooms. More importantly, I took for granted a place to call my own. The new perspective that I have developed about a home is that a home is simply a place where family can be together, share memories, and have shelter. Yes, I took for granted many areas in my life but I also have grown to appreciate the little things in life. From my experiences, I have come away with a new perspective on life and what is important. I have come to see the value of faith, family, and love and how those three elements are apart of the bigger picture. I am still struggling each day but I see each day as an opportunity for life to get better.